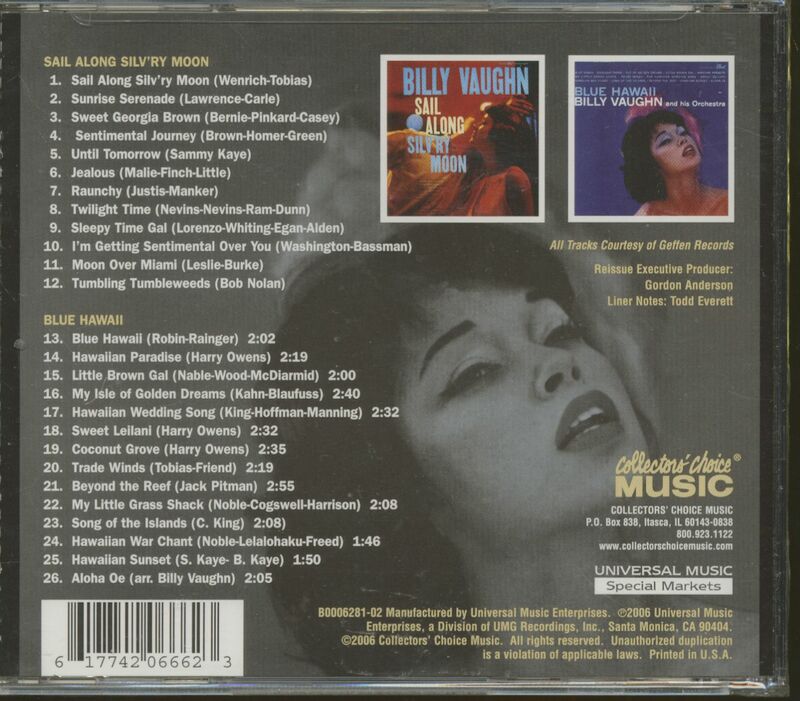 A friend of mine, who kept himself busy some forty years ago playing records at innumerable high school dances, or 'sock hops' as they were often referred to back in the 1950s, smiled with nostalgic pleasure recently at the mention of Billy Vaughn. 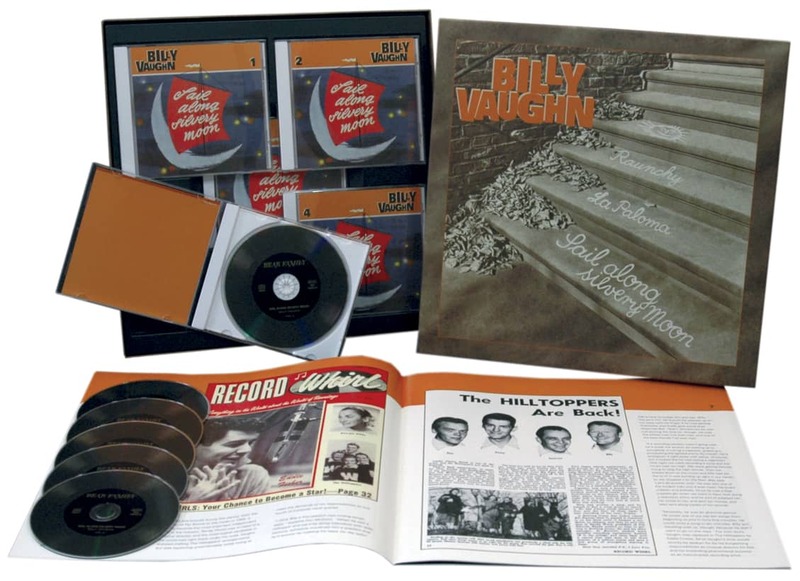 "Back then, you couldn't have a dance without a pile of Billy Vaughn records," he recalled. "His music was so smooth, so pleasant, and so easy to dance to." 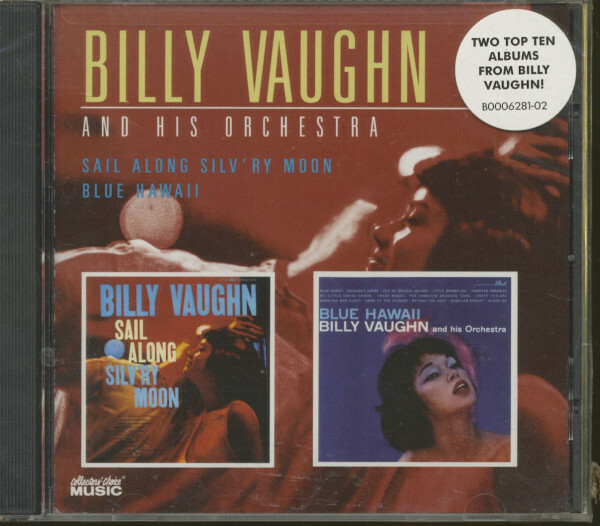 The Billy Vaughn Orchestra was a direct descendant of such great sweet bands of the 1930s and 1940s as those led by Guy Lombardo and Jan Garber, but with a twist. 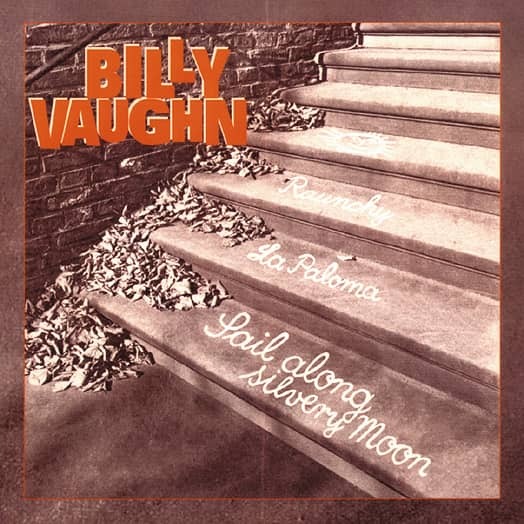 By ingeniously combining timeless romantic melodies with a subtle rock and roll beat, Vaughn hit upon a magic formula that bridged the generation gap and brought his music unprecedented crossover success. It was a distinctive sound, unlike any other in popular music. After the first few notes of those familiar twin alto saxophones playing in harmony, you knew instantly whose band this was and what lay ahead. He was born Richard Smith Vaughn in a modest house on Columbia Avenue in Glasgow, Kentucky on April 12, 1919. His mother, Sally McWherter, nicknamed the infant Billy, and it stuck for the rest of his life. His father, Alvis Radford Vaughn, was a barber by trade, but he also harbored a great love of music. "My Dad was a fine country fiddle player and most of us were able to pick up some type of instrument and play with him. There were many enjoyable evenings," Vaughn later remembered. His sisters Inez, Grace, and Charlotte all demonstrated a degree of natural ability, but it was Billy who turned out to be something of a child prodigy. When he was only three, and confined to a crib with the measles, young Billy began picking out notes on a ukelele. He progressed to the mandolin, though eventually veered away from the stringed instruments which his tiny fingers made difficult to play. When his sisters began piano lessons, Billy would clamber onto the bench as soon as they'd finished to try and replicate what he had heard. His mother later recalled that when the rest of the family would go to see the circus, Billy preferred to stay at home and play music. "Nobody ever encouraged him in music, but he followed his dream. I believe people are gifted at certain things, and for him it was music," she explained. The youngster soon gained a degree of proficiency on a wide variety of instruments, and was practically entirely self-taught on each of them. His favorite instrument was the saxophone. Vaughn decided early that he wanted to make music his career, but his father preferred him to opt for the relative security of the family business, a barbershop in Glasgow. Billy attended barbering school in Louisville, and later a beautician's school in Bowling Green. For a while he worked in the barbershop by day while writing music at night, and later recalled that he found this situation so frustrating that it prompted the beginnings of an ulcer. On a brighter note, his obvious talent and perfect pitch soon earned him a musical scholarship to Western Kentucky State. While attending college, Vaughn also served as a member of the 123rd Cavalry Mounted Band of the National Guard. He was in the 149th Infantry band of the U.S. Army in December of 1941 when Japan bombed Pearl Harbor and the United States was dragged into World War II. "I met him in 1941, before Pearl Harbor," recalled the bandleader's wife in a recent interview. "He was stationed in Camp Shelby, Mississippi. That's in Hattiesburg. I lived in a patriotic little town called Hazlehurst, and we invited 100 soldiers over from the Camp for a weekend, staying in people's homes and eating home cooking. We had a dance on Saturday night, and we all went to church on Sunday morning. That's how I met Billy, at the dance. He was in the orchestra." Vaughn is universally remembered by acquaintances today as a terribly shy man, but he fell hard for young Marion Smith, who he nicknamed 'Smitty'. He even sold one of his instruments, a saxophone, to help finance the courtship. "We started corresponding, and he would come up and visit," remembers Smitty. "In two years we were married, in 1943." Their long and happy union produced three children: a daughter named Zona, Richard, Jr., and Al. Vaughn proved a distracted soldier at best. His mind was always on music. Billy was even known to roll a portable keyboard into the latrine while on KP duty, and work on his latest compositions there! Customer evaluation for "Sail Along Silv'ry Moon & Blue Hawaii (CD)"